February 16th is World Pangolin Day, and we are hosting one of many Pangolin Parties around the nation! 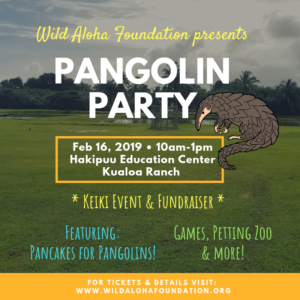 This will be our first kid-friendly fundraiser featuring interactive games/crafts, a petting zoo, community engagement, and our first ever Pancakes for Pangolins!! 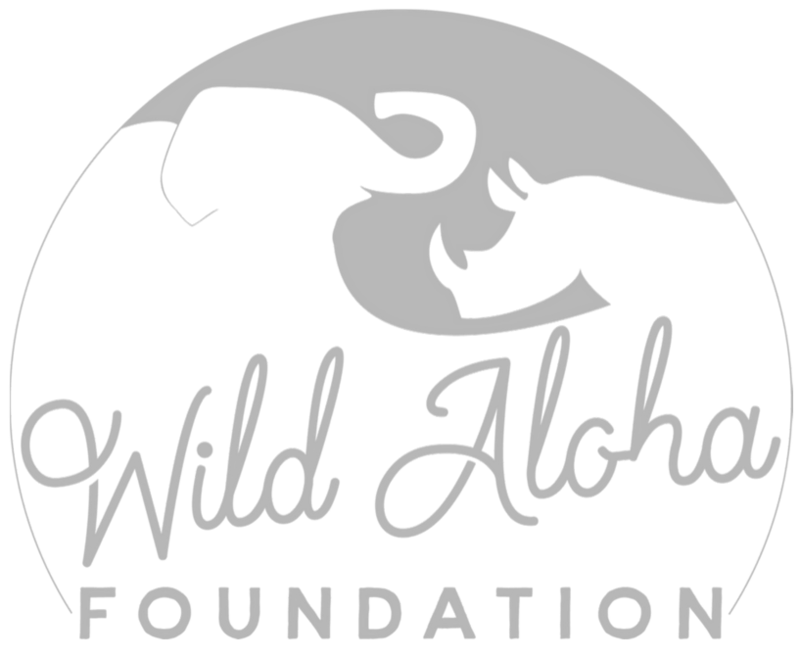 The goal of this fundraiser is to educate our keiki on the most heavily, illegally trafficked mammal on Earth, the Pangolins, and to raise funds to donate to our featured organization, Global Conservation Force, who is actively working to expose the poaching and trafficking issue. It is our contribution that allows them to stay on the front lines rescuing and protecting the disappearing wildlife. Join us for an afternoon of games, pancakes, and animals! * Interactive field games and a petting zoo hosted by Hakipuu Education Center. Mahalo for being a part of the solution! See you at the event! 100% of profits from this event will be donated to our featured organization: Global Conservation Force (ticket profits are donated directly to support GFC and are non-refundable). GCF focuses on supporting threatened wildlife by providing anti-poaching units with the necessary technology and gear to help fight off poachers. Instead of adopting individual animals, with GCF you can “adopt a ranger” and help support rangers in their front line fight against poaching. From these nationwide World Pangolin Day events, GFC plans to use 50% of all funds raised for their protection, wildlife trafficking investigation efforts, and rehab efforts in Africa/Save Vietnams Wildlife. The other 50% of all funds raised will be donated to Save Vietnam’s Wildlife to support their work in rescuing, rehabilitating, and protecting the endangered Pangolins. To learn more about what the Pangolins are facing, please watch this short film featured on NatGeo and produced by Coral and Oak Studios. It is mildly graphic, and NOT intended for the children to view.